Take lashes from full to flirty! 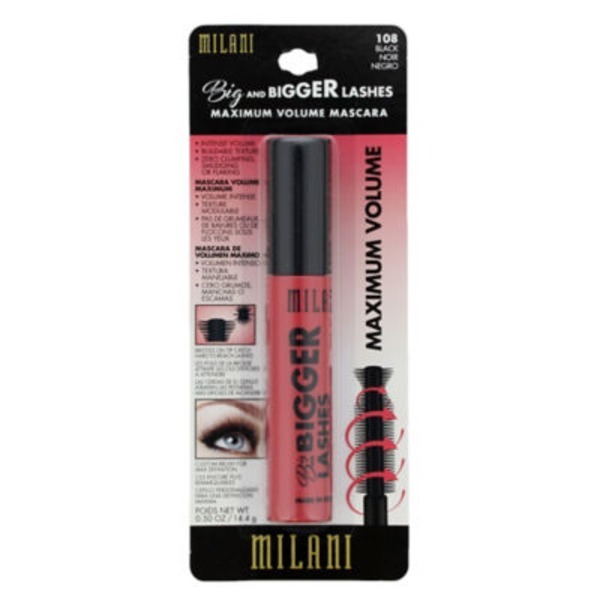 Big & Bigger Lashes Maximum Volume Mascara saturates each lash in rich black color and special conditioners for a show-stopping look and a lush feel. The full volume sculpting brush has a flat side that deposits just the right amount of mascara for clump-free results. Evenly spaced side bristles separate lashes for a fanned-out look and top bristles catch even the tiniest lashes from corner-to-corner. How to Use: Apply mascara from root to tip, build to desired intensity. Use precision tip for hard to reach lashes. Removes best with makeup remover. Good for 6 months once opened.